We're on the verge of summer. Today is the last day of the school year for us. We're getting ready to move. Berries are starting to ripen. All I see today is promise, everywhere I look. The promise of good things ahead. Enjoyed fresh strawberries for breakfast -- a lovely gift! 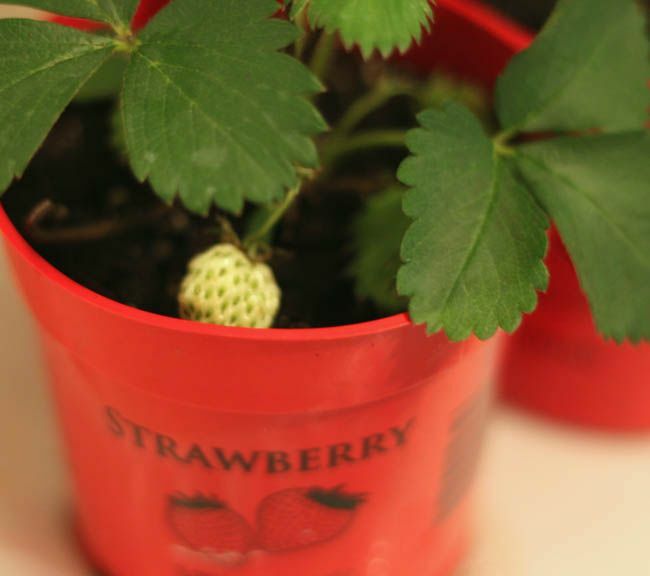 Are you planting strawberries at your farm??? YUM! I was brave this year and am planting lots of new flowers and such. Maybe next year I'll be brave enough for strawberries! Yippee for the goodness and promises of God! All the fresh fruit during the summer is so yummy! We don't have our own garden but there's a little farm stand near our house...my favorite stopping place for strawberries, blueberries, melon and later on watermelon! What a lovely post! His faithfulness endures forever. Found you from other girl I follow. Look forward to the blog.